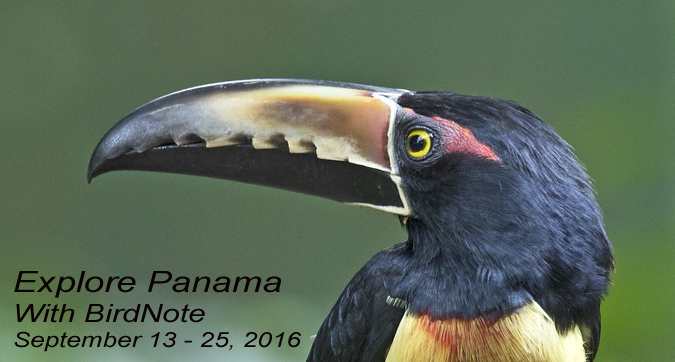 It was a great trip in September, 2016 - BirdNote teamed up with Victor Emanuel Nature Tours to escape to paradise in Panama – one of the premier destinations for birding and adventure in the Neotropics. The dawn chorus from the Canopy Tower above the treetops in the Soberanía National Park. Watch Rufous Motmots, Tawny-capped and Thick-billed Euphonias, Red-legged and Green Honeycreepers, and many, many other birds flock to the verdant forests and gardens of El Valle. Swoop through the tropical canopy on zip-lines (optional). Travel by canoe up the Chagres River to the Embera Drua Indian village. Hike into the foothills of Cerro Azul. Steam through the locks of the Panama Canal. Visit Frank Gehry's world-famous Biomuseo. 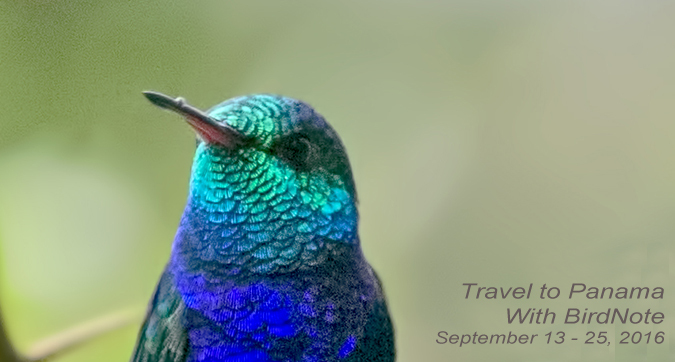 Enjoy exceptional birding and culture, build friendships to last a lifetime, and support BirdNote in the process! A portion of proceeds go toward the support of BirdNote’s programs. See all the tour details here.